Louis is a native New Yorker who is committed to helping the community. He built a dynamic team of health and wellness professionals that treat clients at the Evolve Physical Therapy studios. Louis holds a Master's of Physical Therapy from SUNY Downstate College of Medicine and a Bachelors of Science from the University of Delaware. I have always wanted a career in which I can truly help people and change their lives for the better, and thankfully through the skills and techniques that I have learned within the field of Physical Therapy I am able to live that dream on a daily basis. The human body is an amazing machine and it is my goal to rehabilitate, facilitate, and improve that machine to the best of my ability. Rathelky is a Brooklyn native who attended college at Texas State and LIU. There he obtained a degree in Sports Science and is a certified athletic trainer. He became interested in the field from his passion for educating others from personal experience relating to sports, life obstacles, and his faith. He has been in the field for about 8 years, and has worked with multiple division 1 and professional athletes. These athletes specialized in baseball, women’s tennis, and track and field. Rathelky enjoys this field because of the teamwork environment, and having the ability to impact and educate patients on strengthening movements. He enjoys working with Evolve because their team truly enjoys helping others, and he is able to continue to build that positive environment. In his free time he enjoys running, golf, pick-up basketball, and creating his own strength and conditioning programs. Born and raised in Israel, Dror got his original BPT degree from the Tel Aviv University, Sackler school of Medicine in 1996, with follow up Advanced Masters with the musculoskeletal concentration and the transitional DPT from LIU in Brooklyn. He is currently pursuing the manual certification through the university of Saint Augustine in Florida. Dror has been happily practicing for 22 glorious years, fulfilling a lifelong desire and calling to promote and advance human happiness and well-being wherever he is needed. For him, the ability and knowledge to help someone in their hour of need and get them back to their previous level of fitness, or better, is the best feeling in the world. He will keep on pursuing this as long as God gives him the power to keep practicing his craft. This is what drives him, and he is constantly striving to be an even better practitioner for his patients every day. He feels at home at Evolve where the team as a whole focuses on providing the best level of care they can, with the wellness of the patient as their main objective. In Dror’s free time, he enjoys exercising in CrossFit. A day without it is difficult for him. He also enjoys cooking, and has been cooking since he was a little boy. While he is from Iranian descent, Italian food is it for him. Dror is also a fan of movies. Especially the kind that involve superheroes. He even comes to work every day in a superhero shirt. It is his belief that if we all try to be superheroes, all of humanity will benefit from it. Sarah spent a lot of time hearing that pain is “just a part of life” and that “everyone is in pain,” and she’s determined to change that way of thinking one patient at a time. She is driven to excel and master physical therapy for one reason, and one reason only: to help heal people and allow them to sustain and manage their own healing throughout their entire lives. Patrick is a Brooklyn native. He obtained his Bachelor’s degree in exercise science from Brooklyn college. This field first appealed to him in an 8th grade sports medicine class where he began to fall in love with movement and how the body works. He has been working as an exercise specialist for 1.5 years and has 8 years of experience as a personal trainer and coach. Patrick enjoys this field because he gets to see people progress through their rehab, and learn new exercises that help them to get better and stronger. He loves working at Evolve because of his amazing coworkers, and he also finds their rocksteady class to be very fulfilling. When he’s not working Patrick enjoys track and distance running, ultimate frisbee, table top war games, and on occasion even swing dancing. Alyssa is a New York native. She obtained a Bachelor of Arts degree in Theater Arts from Hartwick College, and she has an extensive background in Dance, Zumba, and Exercise Science. As well as working in the field, she is acting in an Off Broadway show in Manhattan. After having to go through physical therapy for her own injuries, Alyssa began to take more interest in this field, which, eventually lead to her career as an Aide/Exercise Specialist. She believes that the best road to recovery is through a strong foundation physically, as well as mentally. Through her sessions, she always likes to remind patients that they are able to do whatever they can, as long as they believe they can. Evolve has given Alyssa the ability to constantly learn, grow, and thrive as an Exercise Specialist through one-on-one corrective exercise, and she can't wait to see what the future brings.Alyssa also enjoys food, the beach, her big Italian family, and hip hop music. Eric graduated from Touro College with a Doctorate in Physical Therapy at the top of his class in 2017. Although he is relatively new to the profession, Eric has spent a lifetime in the world of athletics and exercise. He uses those experiences to provide top notch therapy and care to his patients. He is currently pursuing his certification in manual therapy through Maitland-Australian Physical Therapy, largely considered to be the cornerstone of modern day orthopedic manual therapy. Eric’s approach to care is focused on patient values and the patients’ needs above all else. 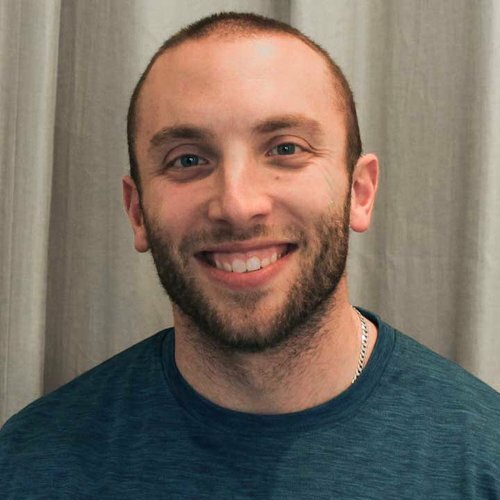 Eric is passionate about his own training, and has extensive knowledge in Olympic lifting, strength and conditioning, and Pilates-based exercises. His knowledge allows him to build programs for people of all functional levels, injury types, and those looking to improve their athletic performance. A native of Northern New Jersey, Eric found his love of board and extreme sports early and can still be found snowboarding just about every chance he gets. He enjoys staying active, exercising, and he never misses a Yankees game. Are you interested in helping people lead healthier lives?